Ah, the up-and-coming artist. As SEO tells us, that term is widely searched. We’re not sure by whom or why, but the high numbers in online searches reveal that in cyberspace, the up-and-coming artist is having a moment. Who is this creative soul, on the precipice of casting off the cloak of anonymity, about to be catapulted into the stratosphere of the art world? The up-and-coming artist, used interchangeably with emerging artist, is numerous artists at any given time. In the professional art world, there’s no shortage of emerging artists poised for the next tier of discovery—which can happen in a moment—when the right publication puts forth a glowing review—or over the course of decades, when a steadfast artist produces a solid body of work which is finally recognized for its originality, point-of-view and vision. Blue Flowers by Jim Salvati. Over at ARTINFO, Julia Halperin sheds light on the concept of the emerging artist by offering a compendium of the term from various facets of the art world. She found the term first applied to artists in the 1960s at the convergence of the professionalization of art and the boom of commercial art production. Presently, the term applies to an artist who has had a limited number of shows, a few instances of public acknowledgment and a modest body of work. In the art world, the emerging artist has promise. 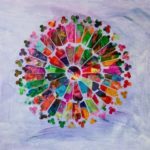 Bay Area painter and friend of Emillions Art, Kara Maria, recognizes her strong presence in the regional art scene is indicative of a mid-career level. 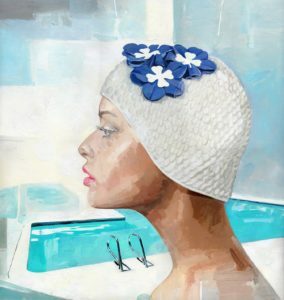 She has shown in numerous regional and state exhibitions, has steady representation and has recently published an exhibition catalogue of Head over Heels, her solo exhibition at the University Art Gallery, California State University, Chico. Given Kara’s solid acclaim, she’s aware of the arbitrary tiers of the art world. “I haven’t yet had a solo show in New York,” acknowledges Kara, who has, nevertheless, been included in several New York group shows. “Without a solo show in New York, you’re still considered an emerging artist by New York standards.” If this remains a sticking point in her career, she’s not bothered by it. “The term ‘emerging artist’ doesn’t mean anything to me,” she notes. She’s busy dealing with multiple shows and developing her next series. Ella Fitzgerald album cover by Jim Salvati. Emillions Artist, Jim Salvati, who enjoys critical success as a visual concept designer and cinematic artist on feature projects at Disney Studios, Warner Brothers and the Harry Potter films, finds the “emerging artist” terms suits him as he follows his creative passions to paint full-time. Jim Salvati came to fine art from the commercial art world, as did his influencers N.C. Wyeth and Andy Warhol. 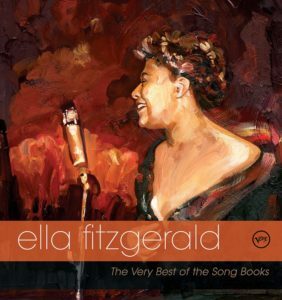 Salvati’s album cover artwork for artists such as Ella Fitzgerald—whose estate bought the original painting—have won him both critical and commercial recognition. He is considered one of “America’s Top 50 Artists,” represented in Taschen’s compilation book of American art. And despite all that, he’s enjoying his “emerging artist” status. “Warhol, Wyeth and [Norman] Rockwell all came out of the commercial side and became artists. They’re primarily now known for their paintings. So, if I can follow that trajectory, I’m in good company.” Look out for the upcoming blog which will feature more of Jim’s work and his exciting development from designer to realist painter. Who is seeking emerging artists? Lots of people. Gallerists, such as the Road Gallery, put out splash-page announcements calling out specifically for “NYC Emerging Artists.” A number of grants or fellowships require “emerging artists” to be a criterion for submission. Exhibitions and publications often seek to spotlight this group, demonstrated by the “30 (insert career here) under 30” articles that proliferate art/literary/culture magazines every season. The up-and-comer is not solely an identity exclusive to the newly minted art school graduate, but could just as easily apply to the older artist who hasn’t yet hit a certain level of public or critical recognition. 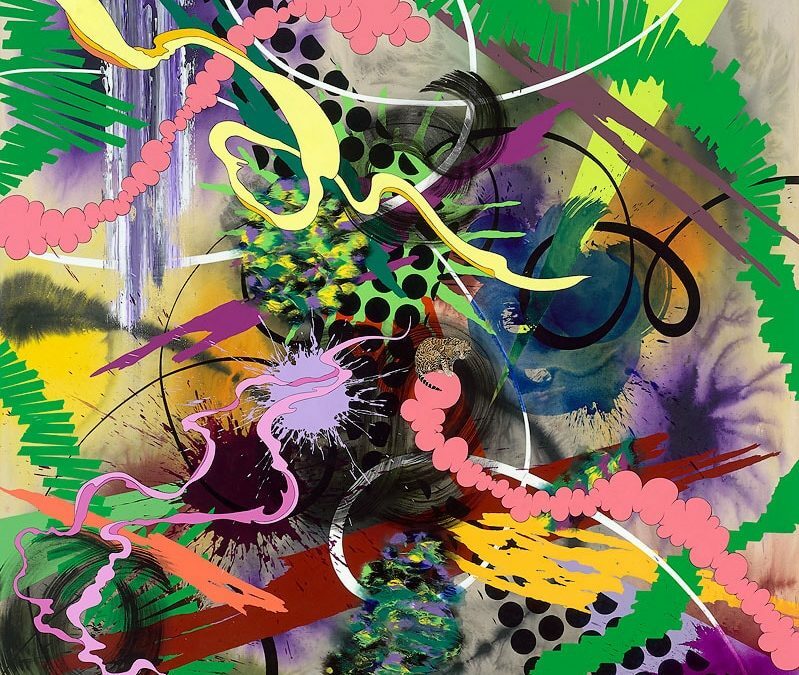 Savvy collectors might be attracted to emerging artists whom they can say they discovered on the uptick of their notoriety, and whose work they start collecting at its most engaging price point. “Resolve to be always beginning—to be a beginner.” No one loved the act of beginning more than the poet Rainer Maria Rilke. There is a certain beauty to beginning anything—of having an open road to create, unburdened by reputation or public expectation. It’s kind of like when U2 released War, and definitely not when they put out Songs of Innocence. In ARTINFO, art historian and author Terry Smith explains that “’emergence’ is a contemporary term: it highlights incipience, the fantasy of perpetual coming-into-being.” For up-and-coming artists, it seems advantageous to ride this upslope for awhile, to get as much out of the “rising” before the elusive “star” part becomes its own dilemma.